Have you ever heard a reader say that reading is boring? Or, that it is hard. Or maybe, they don’t have time to read. If you answered yes to any of these statements, then this post is for you! Readers don’t always like to read. Sometimes other activities win out. Sometimes required reading diminishes our desire for pleasure reading. And sometimes, we just don’t feel like reading. Gasp! 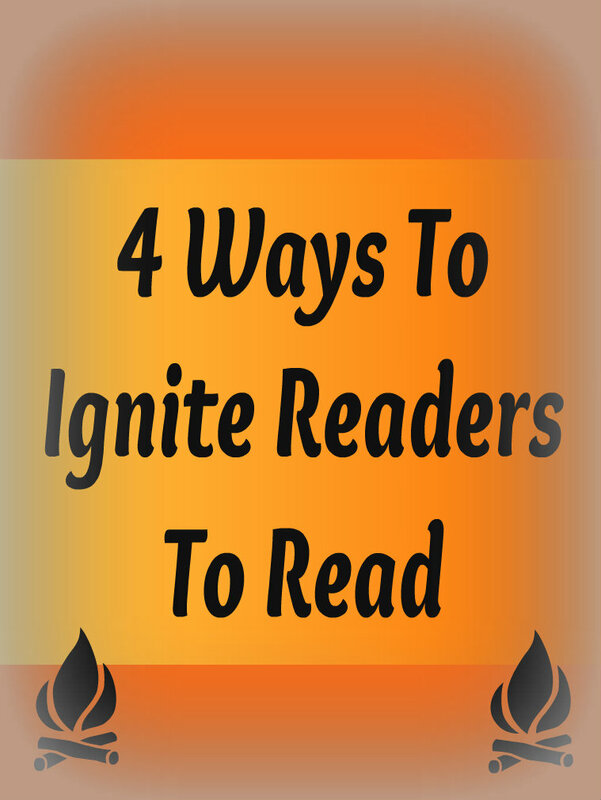 So, how can you help ignite that reading desire in children? Here are a few tips. Sometimes we need to freshen up our reading supply. What hobbies or activities is your child interested in at the moment? Look for books related to that topic at your local library. Or, try a magazine subscription which generally offers a new supply of reading material each month right to your mailbox. Some favorites include Ranger Rick, Kids Discover, and National Geographic Kids. Maybe your child needs a new spot to read. Take some books to the park and read under a tree. Put some catalogs in the bathroom or some comic books in the car. Write some jokes or fun facts on index cards and leave them on the kitchen table during breakfast. The holidays are quickly approaching. Kids have their wheels turning about what they would like on their wish list. So, little Danny wants a new bike for Christmas. Let him read bike reviews on the internet. Have him comparison price at different stores or in catalogs. He can also read about bike safety to prepare for his upcoming gift. Set aside a time each day when everyone in the family reads for enjoyment, even if it’s only for 10 minutes. Right before bed seems to work best for most families. During this time the family can share a chapter in a longer novel, or everyone can read their own selection. Link reading to other activities. Kids are generally more enthused about reading if it is linked to another “real world” activity or lesson. Try reading about different cultures and then find some recipes to try from your chosen culture. Empanadas from Spain or Baklava from Greece anyone? The fall season is upon us. After a walk outside to observe the trees and gather some leaves, snuggle up with a book like The Leaf Man by Lois Ehlert. Last week, we headed to the pumpkin patch. To gear up for the trip we read It’s Pumpkin Time by Zoe Hall. Did your little soccer star just win a game? Celebrate with My Soccer Book by Gail Gibbons. Changing reading materials, reading locations or linking to an interest are sure-fire ways to jazz up your reader to do a little more reading. What do you do to encourage lots of reading in your house or classroom? Happy growing book by book! Please see the linky party directory at the bottom of the home page to see where this post has been linked. LOVE THIS!! I stumbled upon your site while searching for ideas for my 3YO’s classroom Fall Celebration. I am also a consultant with Usborne Books & More and in my home shows I often share literacy facts and provide suggestions to help parents to keep their children reading. I am definately going to share a few of your ideas in my next show.